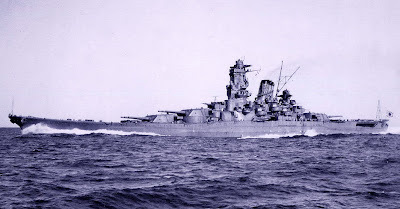 The Yamato, biggest battleship ever built and flagship of Japan's World War II fleet, was sunk on 7 April 1945 some 80 km (50 miles) south-west of Kyushu, Japan’s southerly main island, after multiple attacks by US Navy forces. By August that year, the Japanese High Command had destroyed all drawings and official photographs of the 72,800-tonne ship, to keep her details from approaching Allied forces. The Yamato, seen here on patrol in the Pacific Ocean. 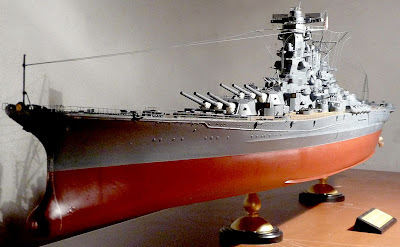 But that has not stopped model makers producing miniatures of the huge ship, and this latest one is among the best there has been. The partwork publisher DeAgostini (whose McLaren F1 car we looked at recently) has produced a BIG 1052 mm (41.4 in) model to build, at 1:250 scale. 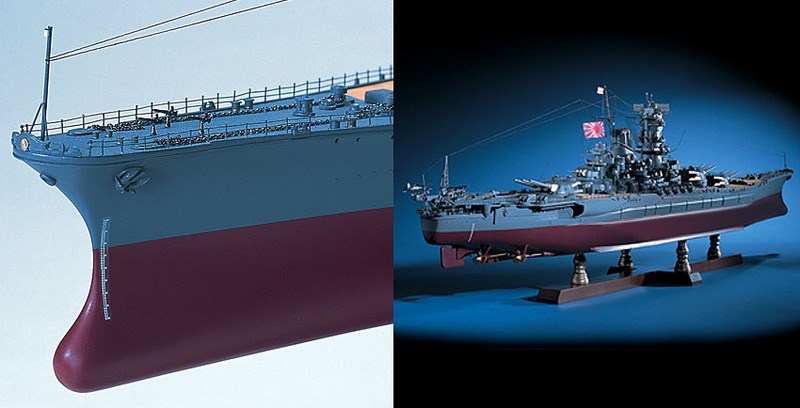 The DeAgostini team has worked with the Yamato Museum in Kure, Japan, to develop the model, using the Museum’s huge 1:10 scale replica for reference, plus the many drawings and photos housed there. The results are impressive - the model has more than 500 parts in wood, plus 1200 in metal, has already been successful in Japan, and is available now as part of DeAgostini’s 'Model Space' brand. The spec includes brass propellers and shafts, photo-etch deck plates, laser-cut plywood, brass details, and metal turrets. And there’s more - purchase options are varied - you can receive 11 or 22 monthly installments, or make a one-off purchase costing £475 GBP ($775 USD), a choice that also saves some money as well as time, as you don’t have to wait for those deliveries. There are some interesting goodies on offer, including a tool kit that comes free with part three. The DeAgostini team is on something of a roll at the moment, with lots of interesting stuff on release or on the way, including one for UK naval fans, HMS Hood, which we’ll be looking at soon. The top pictures show views of the DeAgostini offering, but an even bigger Nichimo kit is available at 1:200 scale (above), though it takes a lot more work. You can read a review of the finished ship at the link below. 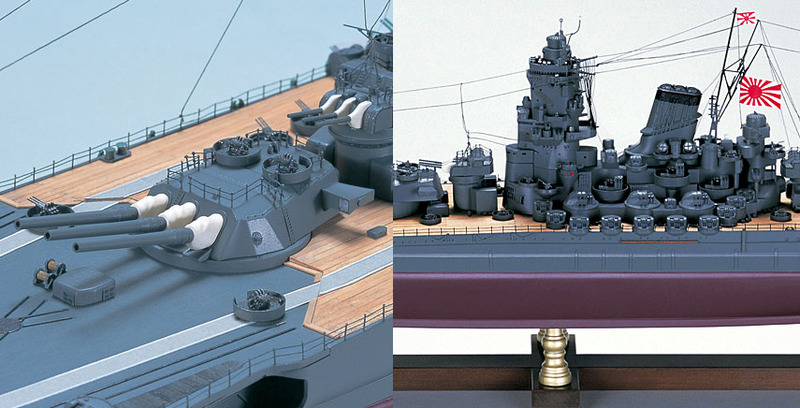 There are various smaller scale Yamato kits on offer, and you can view a selection via the ad links below, not forgetting the imaginative 'Space Battleship' version used in the Japanese science-fiction anime series. 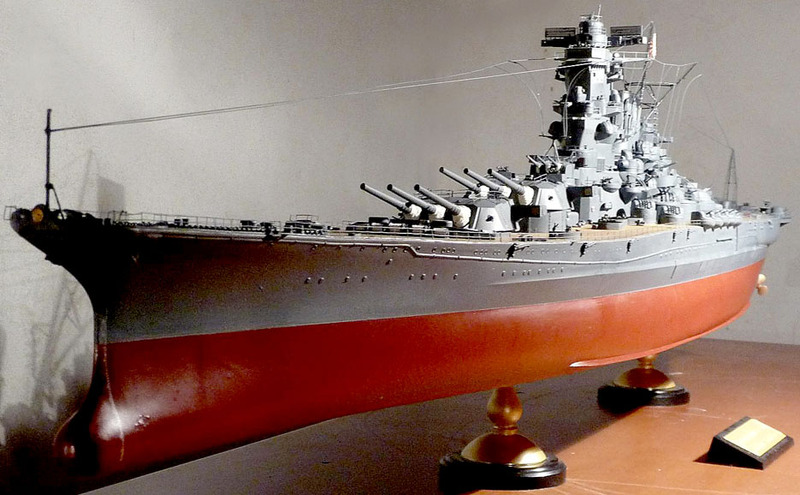 Thanks to DeAgostini for the pictures of the 1:250 scale Yamato. Visit the website here. Bill Waldorf’s review of the Nichimo kit here. More pix of the built-up Nichimo kit here.